The connotation associated with the phrase breaking bread probably varies as much as the different type of breads that are available to us. If you grew up like I did, your first thought might be one with more religious overtones (the breaking of the bread during the Eucharist). Or maybe your experience with breads leads you to take the phrase literally, as in breaking bread apart versus cutting it with a knife. Or maybe the phrase takes on a metaphorical meaning such as sharing a meal with someone, which still might involve breaking bread of course. In my writing, I’ve noticed that I tend to include scenes that involve meals. The most recent scene had my main character eating alone at a restaurant. Alone with his own thoughts, yet still observant of those around him. This most likely reflects my own experiences of eating alone when I travel for work. My favorite way to include a meal in my writing though is with multiple participants, regionalities of the food expressed, and with natural dialogue. Often sharing thoughts, and oblivious to everyone except the meal participants. Again, much of this is based on my own experiences. Write what you know, right? Meals can be intimate. Particularly if one is experiencing more than just food. What do I mean by that? The list here could include dinner dates, holiday meals, family picnics, or just a meal with good friends. Or maybe strangers. From my own perspective, there are hundreds, if not thousands of personal experiences I have had with food that I would say were somewhat intimate. There is one that stands out in my memory that I would like to share here. I visited a friend in Berlin Germany many years ago and stayed with her and her family for a few weeks. Like any first-time visitor to a foreign country, I filled my days with sightseeing and was fortunate to have a resident guide in my friend. I was there a few years after the wall came down allowing me to see both West and East Berlin at a time when Germany was still adapting to reunification, stark contrasts ever apparent the moment one crossed into what was East Berlin. I experienced the Berlin nightlife with my friend and her many friends, explored Nuremberg and Bonn, and partied at someone’s garden along the Rhine River. My most memorable experience however was breakfast on her back patio each morning while at her house. Each morning before breakfast, she and I would go out and buy our groceries for that specific meal. Why? I honestly don’t know. We’d walk around the block, first stopping at a small bakery that had fresh breads. There is something about the smell of a bakery first thing in the morning that grabs you and won’t let go from the moment you first walk in. Sold! Instantly. We would buy more than enough bread and rolls for breakfast then venture on to the next shop for meats, cheese, and milk or some type of juice. Upon returning to her house, her parents would be waiting for us on their back patio with an outdoor table set for breakfast. There’d be a steaming hot pitcher of coffee, various jams and spreads, butter, and Nutella already on the table and we’d put out the breads, various meats, and cheese we had just purchased. I can remember thinking that I had never witnessed so much food for breakfast or variety of food for that matter. There was this type of bacon that was uncooked and somewhat greasy in appearance. I’d follow their lead and have it on a roll will butter and a slice of cheese. Amazingly delicious and to this day, I have no idea what I was eating. There were other meats, some familiar tasting, some not. All good. Although the food itself is a memory I’ll never forget, what made these morning meals even more memorable were the conversations that followed. Her mother and father spoke no English yet each morning we would discuss politics, food, German history, and technical commonalities of the industry her father and I were employed in. All translated by my friend. I honestly feel I learned more about Germany during those breakfasts than I had in any history book or class. I asked many questions about the influence the British, French, and Americans had on what was West Berlin and how it affected them. I asked about the influx of Turkish immigrants I noticed. I asked about the wall, reunification, and of course – Hitler and the war. My takeaway from this and many similar experiences I have had breaking bread with friends or strangers, both here at home in the United States and abroad – during those moments we are all so much more alike than we are different. and one more comment I missed. for some reason, I had to “approve” your comment? That truly was one of the highlights of my trip! Thanks! Those little moments ofttimes are overlooked. 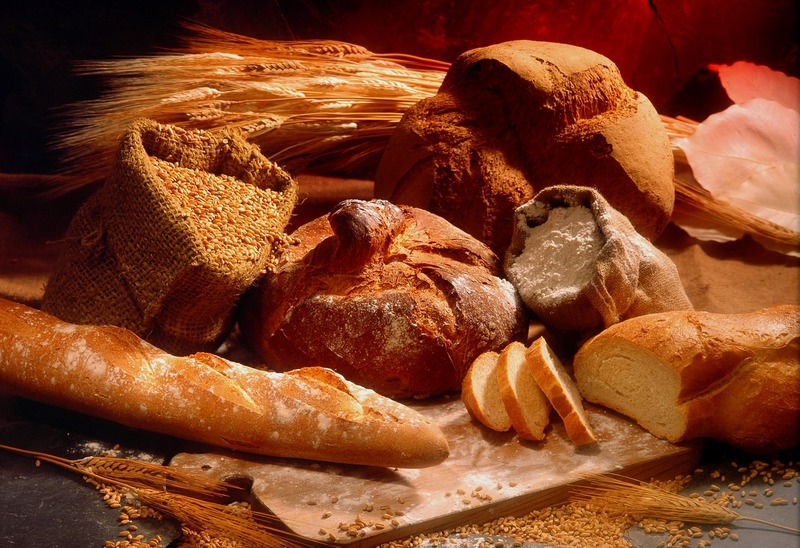 So breaking unsliced bread….. how many bites does it take to finish a loaf?